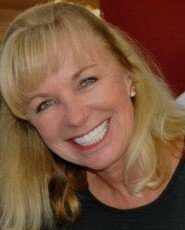 Rhonda Lee, has been a Licensed Realtor/Sales Associate in Brevard County for over 20 years. She joined Seaside Realty of Brevard in July of 2013. Rhonda provides knowledge, experience and shares her positive and upbeat personality. In her free time, Rhonda loves to travel, play golf, drink wine, and spend quality time with family & friends.